Some other condition that affects the first toe joint such as gout. It has been my experience that many patients with Gout have been misdiagnosed with Sesamoiditis! Gout is an autoimmune disorder that affects the first metatarsal joint but is due to the accumulation of Uric Acid crystals and not because of inflammation of the Sesamoid bones. A simple blood or urine test can help shed light on whether or not you suffer from gout. There is a genetic anomaly known as Bi-Partite Sesamoid bone(s). 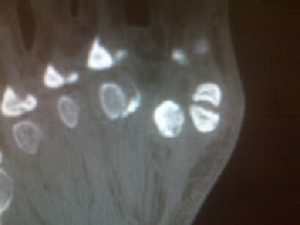 In this phenomenon a persons sesamoid bone(s) never fuse during childhood resulting in the appearance of an extra bone. This extra bone is also often confused as a fractured sesamoid bone. I have seen a few patients that were diagnosed with a fractured Sesamoid bone who in fact were suffering from Gout! 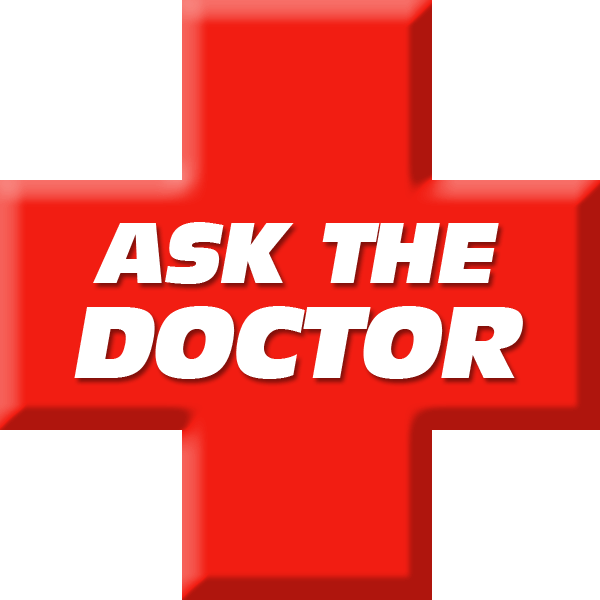 Gout can be accurately diagnosed using a simple urine or blood test. After an accurate diagnosis is reached it is easy to formulate an effective treatment plan for the injured patient. When the injury is not too severe I can usually make a custom orthotic or sometimes customize an existing orthotic using an accommodation known as a Dancer’s Pad. This pad can help offload the pressure causing the pain in the patient’s Sesamoid bone(s). If during the course of the exam I establish that the patient has a Sesamoid fracture we can confirm it with an X-ray. Unfortunately this typically results in the patient being restricted to a walking boot for a period of 6 weeks and in the past they were unable to run. Now, with the Alter-Gravity treadmill http://sdri.net/services/alterg-anti-gravity-treadmill/ injured runners with fractured Sesamoid bones can continue to rain and run while they are healing. If you are suffering from Sesamoiditis or feel you have not received an accurate diagnosis don’t wait any longer. Dr. Allen D.C. has treated many injured patient’s successfully who have suffered from this painful and limiting condition. His common sense approach and accurate diagnostic methods get to the cause of the problem and correct it fast. If you are struggling with foot pain and would like help call the San Diego Running Institute at 858-268-8525 and get help now.